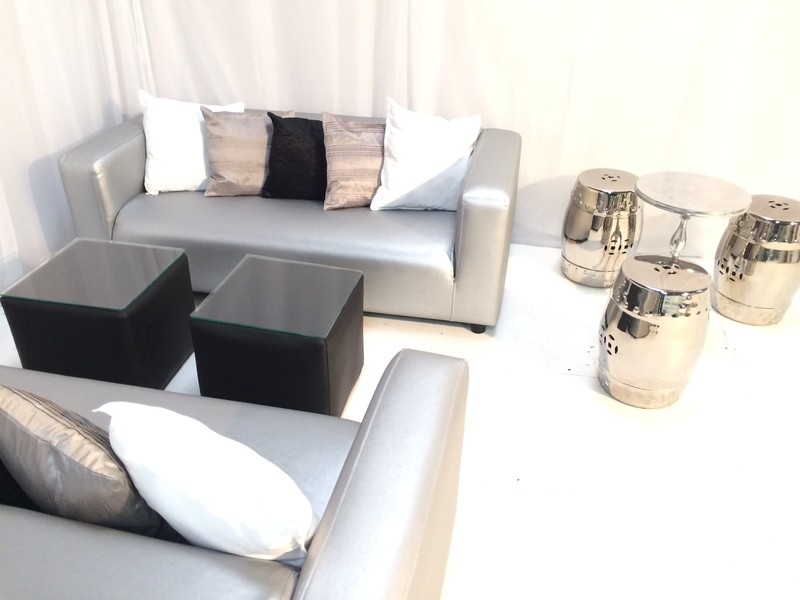 Our beautiful shiny Taj silver stool is a made from a high-shine pewter-effect ceramic. 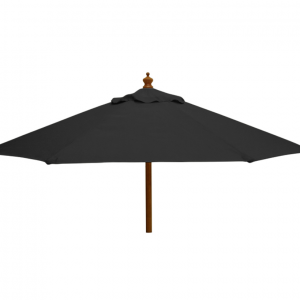 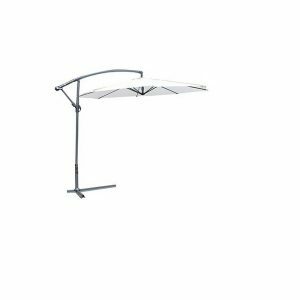 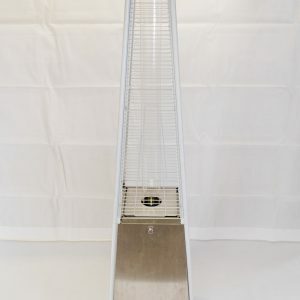 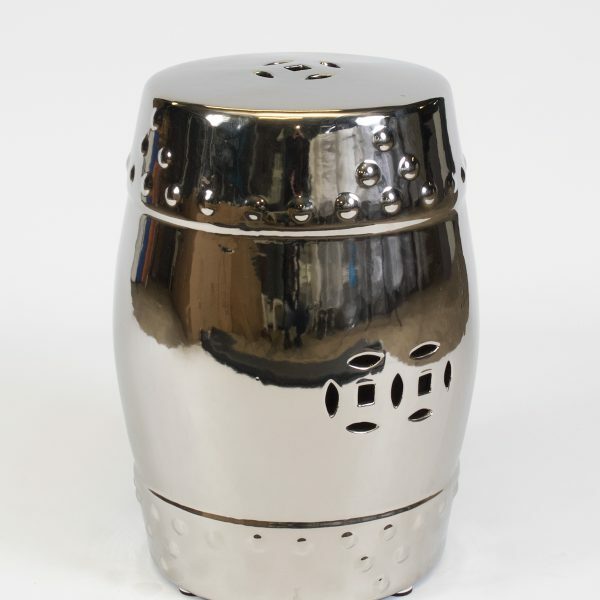 Its sleek barrel shape makes it a real feature piece. 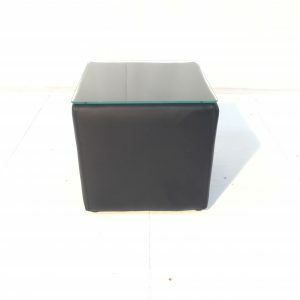 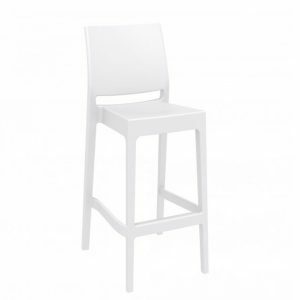 When you need to add a touch of luxe to your wedding, party or Bar Mitzvah, the Taj stool is the ideal party accessory for your furniture hire. 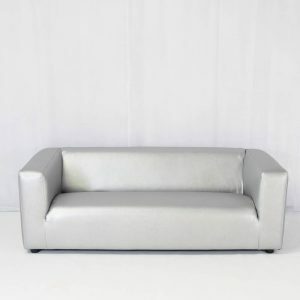 With its sleek curves and dazzling, almost mirror-like shine, it’s ideal for adding extra seating to any of our sofa ranges, for example: the ever popular rattan Marrakesh or Bulgari sofa sets. 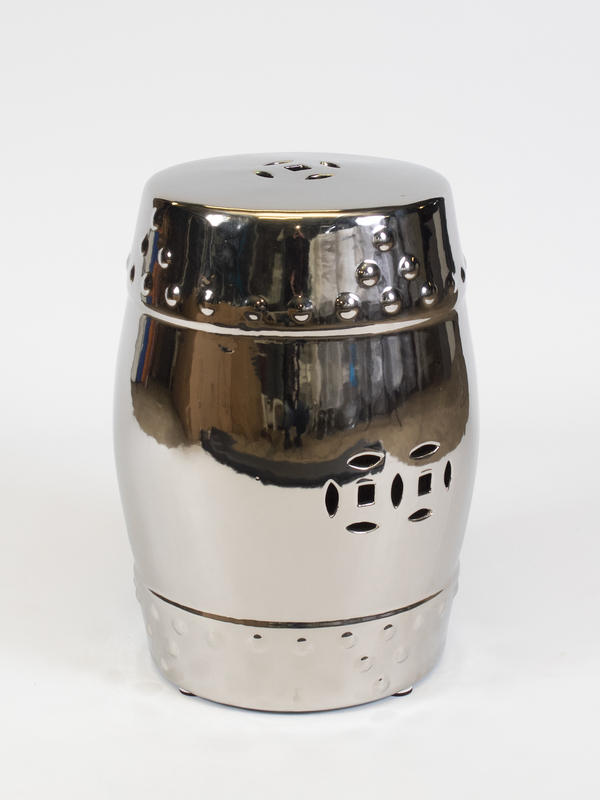 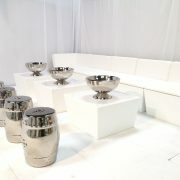 A winter wedding or Christmas party looks stunning themed in shiny metallic silver. 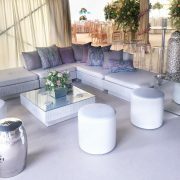 Why not hire the Taj silver stool alongside some of our other silver furniture and accessories? 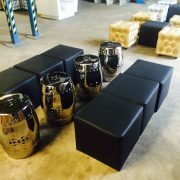 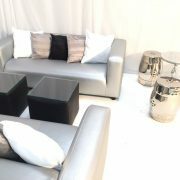 Check out the gallery images to see the Taj stool teamed with our funky Silver Club Lounge Sofa. 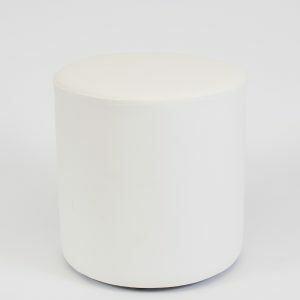 Looking equally gorgeous outdoors in summer, with its gleam reflecting the sun’s rays, the Taj stool is a year-round favourite. 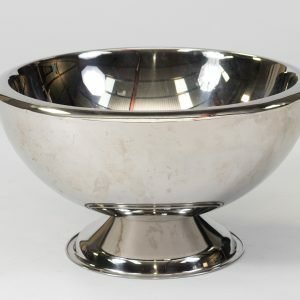 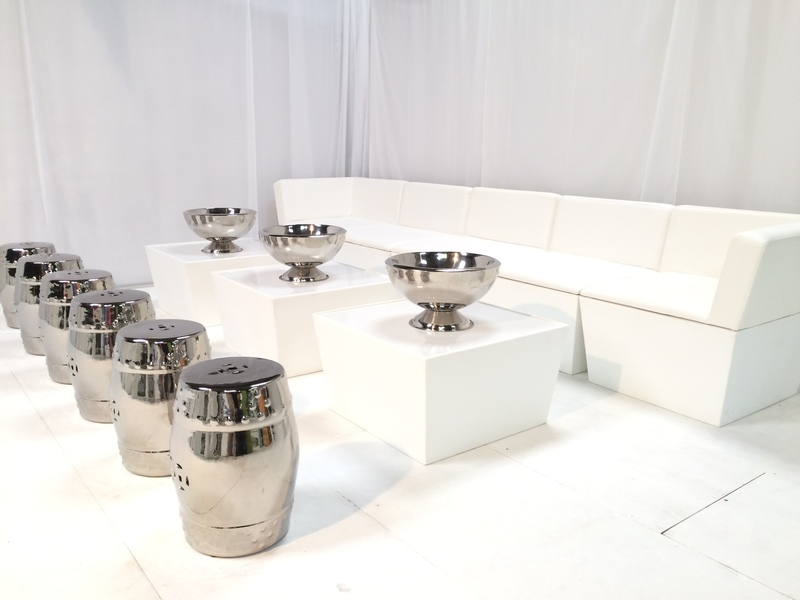 Why not also hire some of our popular silver champagne bowls to keep the all-important fizz cool? 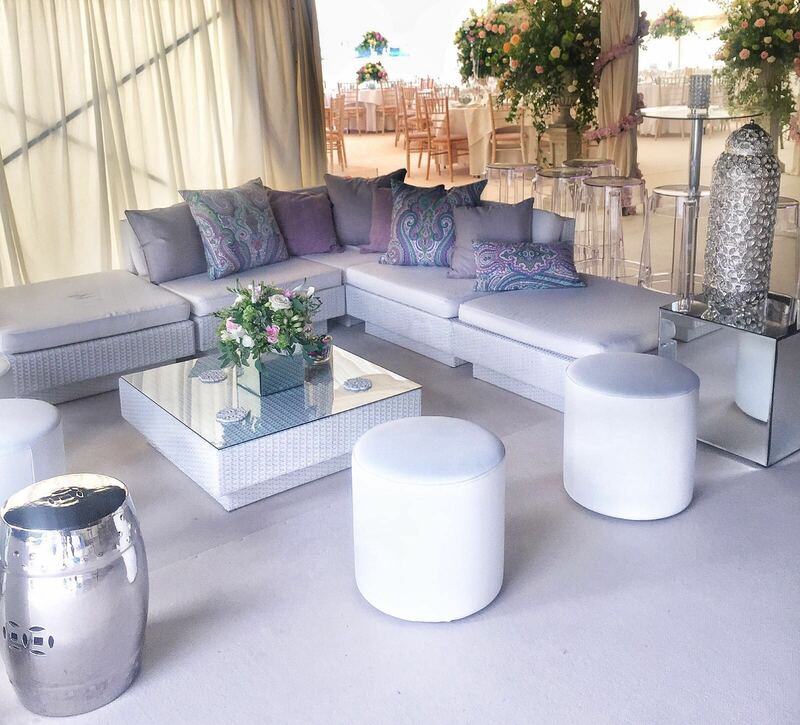 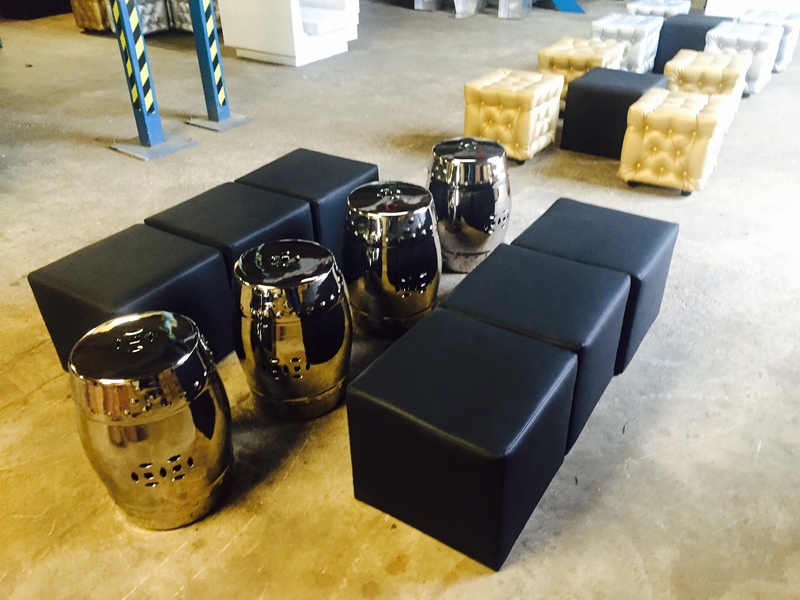 Add the Silver Taj Stool to your quote today or check out the rest of our Ottomans range here!